The Toyota Prius is revolutionary. For decades it has served as the standard for hybrid and electric vehicles and only continues to improve the advancement of its efficient technology. Since its debut in 1997, the Toyota Prius has been careful to adapt and upgrade each model to fit the needs of consumers. Today, hybrid and electric vehicles are becoming increasingly popular as drivers continue to value the reduced environmental impact and increased efficiency of these vehicles more and more. The 2019 Toyota Prius is Toyota’s latest take on this advanced hybrid car and has already received positive reviews from critics and drivers alike. If you’re looking for a new vehicle and are tired of spending time and precious funds at the gas pump, the 2019 Toyota Prius might be the right option for you. It is incredibly affordable, efficient, and offers advanced onboard technology. In fact, most of the technology onboard the 2019 Toyota Prius is offered standard on the base model trims, boosting this vehicle’s value even further. However, drivers looking for the absolute latest in technology can easily upgrade to more advanced features without a costly jump in price. The Prius is also an incredibly safe and reliable vehicle and continues to perform well in crash test rating. These ratings are achieved by a plethora of safety features, including several of the latest driver assist technologies like Lane Departure Warning and Pre-Collision System with Pedestrian Detection. These types of preventative safety features are included as standard among Toyota’s Safety Sense and Star Safety System on even base trim levels of the 2019 Toyota Prius. However, drivers looking to purchase a Prius will be greeted with even more options, including three different models and their corresponding trim levels. These 2019 models include the Prius, Prius Prime, and Prius C. If you’re not sure which model is right for you, don’t worry! Here we’ll discuss the difference between each option and the overall benefits of Prius models. In general, these models vary in their efficiency, space, and pricing. While the Prius C is the most affordable option, the Prius is more spacious. Meanwhile, the Prius Prime is a plug-in hybrid and offers the most in terms of efficiency and is the most environmentally friendly option. But, let’s take a closer look at what makes each of these models stand out among other hybrid and electric vehicles available on the market today. If you’re interested in purchasing a Toyota Prius, it’s important to understand that there are several different models available. In fact, there are three varying models of the Prius and each have their own trim levels. For drivers looking for the ultimate in customization, this is a huge plus. However, for others, this may make it difficult to determine which model will best suit your needs. To help you pick the right model of the 2019 Toyota Prius, we’ll discuss the differences between each option. The Toyota Prius is classified as a compact car and is one of the highest rated hybrid vehicles in its class. This model of the Prius seats up to five passengers and has been praised for its upscale and spacious interior. The Prius offers more seating and cargo space than the Prius Prime, and will consequently cost a bit more upfront. However, many drivers prioritizing space and convenience find the price well worth it. The 2019 Toyota Prius C is the most affordable model on this list and is classified as a subcompact vehicle. This model is very similar to the Prius, however, it offers less space and power. If you’re looking for the more affordable option upfront, this might be the right model for you. One of the most distinguishing features of the Toyota Prius Prime is that it functions as a plug-in hybrid, allowing it to drive up to 25 miles on the battery alone when fully charged. Consequently, this model will save you the most money at the gas pump, but this is reflected in the upfront cost of the vehicle. In fact, the Toyota Prius Prime is the most costly out of these vehicles. However, it is important to note that drivers may be eligible for a tax credit for this vehicle, making it the more affordable option in the long run. Overall, each model of the 2019 Toyota Prius will satisfy your need for efficiency. However, choosing which model is best for you may come down to the amount of space you’re looking for, your budget, and your desired level of efficiency. If you’re still not sure whether the Prius, Prius C, or Prius Prime is right for you, be sure to talk to one of the knowledgeable members of our sales staff today. Many drivers are attracted to the Toyota Prius for its incredible efficiency, and this vehicle does not disappoint. With the 2019 Toyota Prius C, drivers can expect up to 48 mpg in the city and 43 mpg on the highway. This efficiency is powered by a 1.5L 4-cylinder engine and a 6.5 kWh nickel-metal hydride battery, also paired with an Electronically controlled Continuously Variable Transmission (ECVT). 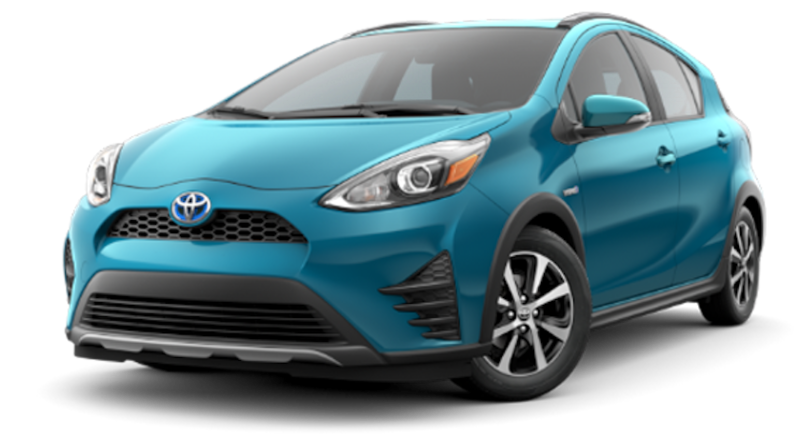 The 2019 Toyota Prius C is not the vehicle for the driver looking for power, as it produces a maximum horsepower of only 99 hp. However, when it comes to efficiency in a hybrid subcompact car, this vehicle is hard to beat. The Toyota Prius truly sets the standard for all hybrid vehicles on the market, and this model offers increased affordability, environmental friendliness, and fuel economy ratings that rival even hybrid compact cars. Fuel efficiency for the Toyota Prius is increased significantly when purchasing the vehicle as its compact car model. In fact, the 2018 Toyota Prius earns an incredible 58 mpg in the city and 53 mpg on the highway. This model of the Prius also offers a little bit more power than its subcompact version, offering up to 121 hp and 105 lb-ft torque. However, like the Toyota Prius C, this vehicle is more valued for its efficiency. Overall, no matter which model of the 2019 Toyota Prius that you choose, you can feel confident that it has class-leading efficiency. In the category of entertainment technology, the 2019 Toyota Prius offers an impressive number of standard features. These features are advanced enough to please even the most tech-savvy drivers and passengers, however, Prius models also allow plenty of available options for those looking to upgrade the onboard technology of their new vehicle. At Joseph Toyota we are proud to offer high-quality options like the 2019 Toyota Prius. However, no matter what you’re looking for in a vehicle, we are confident that we can find the right fit for you on our lot. As your local Toyota dealership, we look forward to listening to your needs, budget, and lifestyle, in order to match you with your ideal vehicle. From efficient sedans and hatchbacks to powerful trucks and versatile SUVs, we offer an extensive inventory to choose from. Even drivers interested in used or certified pre-owned vehicles will be greeted with plenty of options on our lot. And when it comes time for financing, you can feel confident in our ability to secure you the loan you need to drive away in your new vehicle. Even drivers with low or poor credit can qualify for financing at our dealership. Drivers can even enjoy premium post-purchase care from the expert technicians of our service department. I/n fact, at the time of purchase our helpful service technicians will be more than happy to set up a schedule for routine maintenance based on your vehicle and needs. Interested in upgrading your vehicle with accessories? 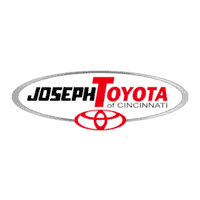 The technicians at Joseph Toyota are certified to properly install your desired accessories with ease. So, when it’s time to purchase your next vehicle look no further than Joseph Toyota!